Gionee, the brand that has been a strong contender to the offline smartphone market in the country has launched a new handset for the selfie lovers in the country. We recall reviewing their S6 handset earlier this year, which was quite the package for the price it came during that time of the year. But there were certain features that it lacked and we thought could have been much better. And it looks like the device might have finally gotten an upgrade in the form of S6s. Though, do make a note that the newly launched handset isn’t the iteration of the S6. But it is rather quite a different smartphone itself. Take a look at the device in detail below. The first thing to notice is that there is a new Logo design on the back side of the phone, which was originally introduced on the S8 flagship handset first. The device feels quite large as I hold it in my hand. Though despite that it feels comfortable to hold in one hand as the device does;t have a large width, but height instead. The bezels on top and bottom take a lot of space compared to left and right. The button placement on the right edge, power and volume can be easily distinguished, as power button has a roughness of its surface, while volume keys don’t have that. The full metal body feels sturdy and offers good build quality. Note that there are capacitive buttons for back, menu and home functions; unfortunately, they don’t have a backlight for easy operation in the dark. The display on this 5.5-inch 1080p display is quite up to the standards of the mid-range smartphones we see these days. The pixel density of 401 PPI (Pixel Per Inch) is pretty fine for surfing the YouTube Video on full HD as well as watch movies on other popular on-demand video content apps such as Hungama, Hotstar, Netflix, etc. We played around with the device fro quite a while now and found that viewing angles of the display are pretty good. It means you can enjoy videos on your smartphone with family/friends. Moreover, the brightness levels are quite high, which is why you can see content clearly when you’re browsing on the device during broad daylight. These days mid-range handsets are popping up like some sweet dishes during festivals. And all those sweets are equally tempting. Such is the case with Gionee S6s, as it offers 3GB of RAM, 32GB of internal storage and an Octa-core processor, which has become a standard for this price range. You can expect decent enough power from the combination of chipset and RAM. 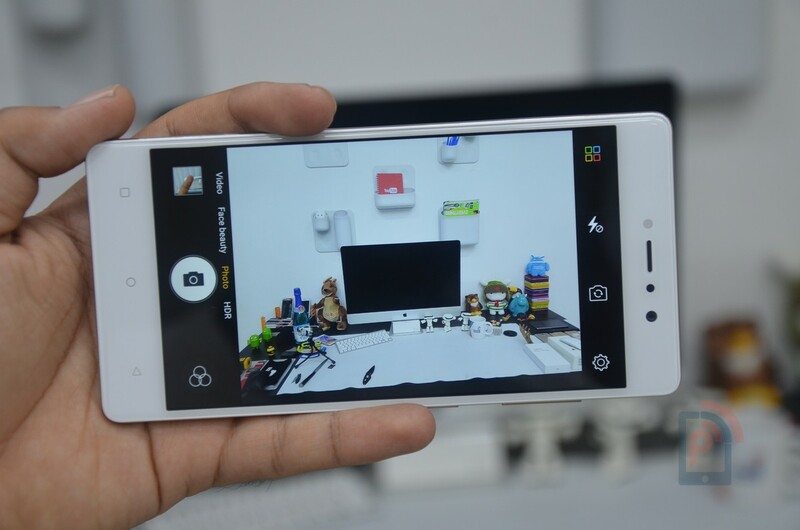 For the record, it has a MediaTek MT6753 processor clocking at 1.3GHz with Mali T720 GPU support. Do make a note that the device does it heats up to a considerable extent when you play games for about 15-20 minutes or even play videos forFlashlightsimilar duration. Talking about the gaming performance, well, it is quite the balanced performer as we didn’t experience any lag in graphics during play. The interface is something that companies should often improve over the time, as the needs of the user’s changes with respect of smartphone usage. Amigo OS is created on something of the similar line. 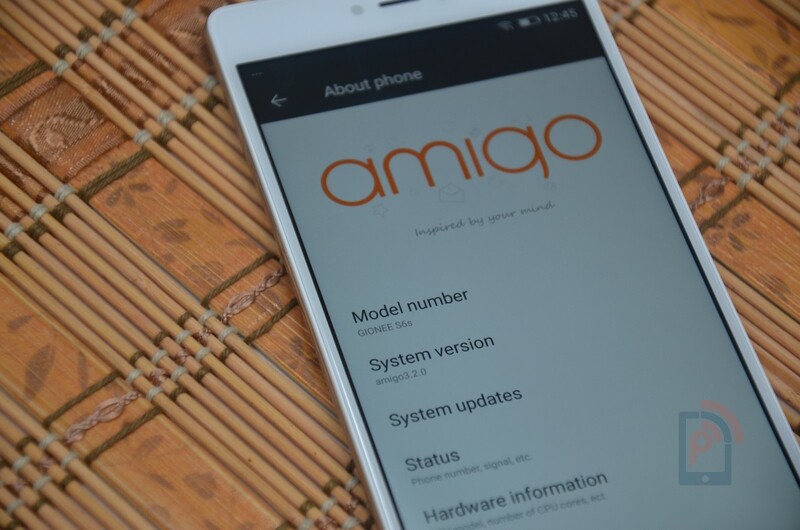 With this handset, the company has introduced 3.2 version of it’s Amigo OS. The latest custom OS from the company is based on the Android 6.0 Marshmallow OS, so you can expect some marshmallow goodies tucked in the Amigo OS. The main issue that we ever had with Gionee handsets were that they pack a lot of pre-loaded apps, games and tools that are not required and is not necessarily resourceful either. Though, it’s good to know that you can remove the bloatware and keep only the apps that you want. Interestingly, this time around the company has added a professional video editor, which might interest some users. The company touts the camera package on their latest S6s handset as the device boasts 13MP rear and 8MP front modules. Talking about the camera experience on the S6s, I would first like to point out that you the interface is pretty neat and clean, you can switch between video, face beauty, photo and HDR wth just swipe. While there are tonnes of effects that can be enabled once you tap on triple circle icon kept alongside shutter button. You get easy access to the gallery, modes, flash light options for rear and front modules. The rear module captures great macro as well as full-length shots but do make a note that they look little blurred out once you zoom in a little bit. The front facing module is supported by a LED Flash light. The outputs from the front shooter are pretty amazing. Moreover, you don’t have to worry about low light during the dinner table selfie; the LED Flash would do the trick to crafting good output for you. We find the new Gionee offering from company to be quite effective to the people who are looking for good build quality as well as features on their next smartphone. The Gionee S6s offers sturdy build as well as have a stunning display. You also get good performing combination of chipset and RAM. The software interface is brilliant in the sense of simplicity.